Can the Minnesota 12 Step Model be improved upon? A Q&A with someone who’s trying just that. More here. Is the Minnesota Model outdated? The Minnesota Model is an addiction treatment approach characterized by a thorough and ongoing assessment of a person in rehab and the possible multimodal therapeutic approaches that can help their individual case. It can include group and individual therapy, family education and support, and other methods. However, the philosophy of the Minnesota Model is based on principles taught by Alcoholics Anonymous (A.A.)…and has been seen in recent years a problematic. Simply speaking, not everyone connects to the “spiritual experience” of 12 steps models. But, are there better alternatives? If yes, what are the benefits of such a program? 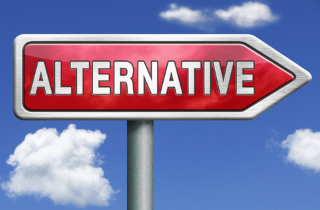 And what would an alternative program look like? In this interview, we have invited Paula DeSanto, MS, LSW, CPRP, CCDP-D who is the Founder and President of Minnesota Alternatives, to explain to us the efficacy of Minnesota Model for addiction treatment and its alternative(s). We look at the limitations and benefits of each, and take a look at the future of addiction treatment. Minnesota Alternatives provides adult outpatient mental health and/or substance use treatment and consultation services that focus on engagement, skills development, personalized interventions, neuroscience and healing trauma. The program uses many state of the art interventions including mindfulness meditation, imagery, motivational enhancements, cognitive behavioral strategies, and multiple trauma therapies. The program specializes in serving people who experience both substance use issues and mental health problems. At the end, we invite your feedback. In fact, if you have any additional questions or want to leave a comment, please share them with us at the bottom of the page. We try to respond to all comments personally and promptly. ADDICTION BLOG: Firstly, can you explain to our readers the basic tenets of the Minnesota Model? What is it? MINNESOTA ALTERNATIVES: The Minnesota Model was developed in the 1950’s and uses a multimodal approach often combined with peer involvement to help address the needs of those with substance use disorders. It is based on a disease model of addiction that emphasizes abstinence and active participation in AA (Alcoholics Anonymous) or NA (Narcotics Anonymous), both while in treatment and for continued care post discharge to bring the disease into remission. ADDICTION BLOG: Why has the Minnesota Model dominated the addiction treatment space for so long? MINNESOTA ALTERNATIVES: In the not too distant past, treatment programs were largely staffed by people “in recovery” who were active in AA/NA. AA/NA as a self-help resource is also very wide spread and therefore treatment programs can easily refer their clients for community support. I think a growing number of states now require a college education and licensure for treatment providers and as a result programs are beginning to incorporate a wider variety of approaches/skill sets. ADDICTION BLOG: What are some of the limitations or gaps that you’ve documented in this model? MINNESOTA ALTERNATIVES: The Minnesota Model generally provides a “one size fits all” approach that expects everyone to admit that they have a disease requiring abstinence and participation in AA/NA. It assumes that everyone that enters treatment is ready to take active steps. It tends to be fairly intolerant of people who do not embrace abstinence as a lifelong goal and/or who continue to use substances while in treatment. It can foster dishonesty, resistance, and failure for those who do not follow the often rigid program expectations. ADDICTION BLOG: Are advocates of the Minnesota Model evolving or changing the main modalities over the course of years and decades, or does the model remain basically the same? MINNESOTA ALTERNATIVES: Some programs are evolving to include more science/evidenced-based practices such as cognitive-behavioral therapy and mindfulness, as well as supporting the use of medications that can help prevent or reduce substance use. ADDICTION BLOG: What is the Minnesota Alternative? What would a program alternative look like? Many programs claim they are using person-centered and motivational strategies. I am skeptical about this, because this means they are willingly to work with people who are in early stages of change who may not be ready or interested in giving up their substance use. I am only aware of a very small handful of programs nationally who actually “meet people where they are” and embrace harm/risk reduction goals. ADDICTION BLOG: Because this approach works by changing an addict’s beliefs and his or her relationship to others and to self, what kind of techniques do you use to reprogram the belief system of adults? MINNESOTA ALTERNATIVES: The model draws from basic neuroscience concepts related to neuroplasticity. It teaches people about brain anatomy and how the nervous system works. This includes education and practice to learn to quiet “emotional” mid brain activity and engage the prefrontal cortex to make thoughtful (vs. impulsive) decisions. We also help people understand that mental activity can activate the parasympathetic part of the nervous system so they can learn to calm themselves down. The model also focuses on the value of repetition, focused concentration, mental imagery and rehearsal, and mindfulness practices to build new neural pathways based on positive, skillful intentions and behaviors. ADDICTION BLOG: What are some of the ways that the Minnesota Alternative differs from the Minnesota Model? What are benefits of these alternatives? What are some of the limitations? MINNESOTA ALTERNATIVES: The biggest difference is that the Minnesota Alternative is not a pre-packaged service whereby everyone basically gets the same thing. Instead, the length and intensity of the program is determined by the customers and is flexible as their needs change – for example if someone gets a job or becomes involved in other meaningful activity. Further, instead of surrendering to a higher power, the Minnesota Alternative teaches clients to improve their ability to self-regulate. It emphasizes the therapeutic alliance between clients and staff. The model also sends a message of capacity for change (vs. chronic disease) and then equips people with the tools they need to improve the quality of their lives. It takes adequate time to understand the unique needs of each person and then tailor services accordingly. Focusing on the capacity for resilience and change (through neuroplasticity) along with teaching key life skills (not unique to addiction), The Minnesota Alternative helps people change attitudes and perceptions, improve self-care, and increase overall effectiveness. The model also takes into consideration the role of adverse childhood (and in utero) experiences, providing opportunities for attachment and resolving trauma. The benefit of this approach is that people learn critical skills so they can improve self-regulation that often generalize to all aspects of their lives. They become empowered and gain self-confidence and self-worth. This is very different than needing to rely on AA/NA meetings and a sponsor or higher power to recover (external resources) as people develop internal capacity to manage their lives. One limitation of The Minnesota Alternative is that most people diagnosed with substance use issues want to find ways to continue to use substances non-problematically. People often experience multiple use episodes that eventually lead them to an understanding that they need to practice abstinence from certain substances. People may experience many consequences before they draw this conclusion. This is a very important process as many (at least 50% of those served) ultimately choose to abstain – but it is their choice vs. a requirement that is imposed upon them. ADDICTION BLOG: How much reach in practice does the Minnesota Alternative have (how many clients have received care under this model)? MINNESOTA ALTERNATIVES: Minnesota Alternatives opened in 2009 and is a fairly small clinic now having served about 1,000 people. There are a couple other programs in the area that have adopted the model as well as others that are using bits and pieces – teaching the skills and/or accepting harm/risk reduction goals. I also teach at the University of Minnesota in a Behavioral Health Master’s program about the model, and Winona State University Addiction program and the Social Work program at the U of M use the Minnesota Alternative Practice Guide in their course work. This helps develop a new work force trained in the approach. There are some big changes happening in Minnesota that are driving more person-centered, longitudinal, and flexible services so I anticipate that we will see many more programs using this, or similar models, in the future. ADDICTION BLOG: Can you tell us a little about the practice of “emotions based” interventions? How does it fit into the Minnesota Alternative Model? MINNESOTA ALTERNATIVES: As I mentioned above, the model takes into consideration the role of childhood (and in utero) adverse experiences and provides opportunities for attachment and resolving trauma. This means that staff takes the time to emotionally connect with and understand the people served. The model allows for long-term engagement so people can identify and understand issues that may be driving their need for substances. Staff are trained in a variety of modalities to help resolve trauma as well as to help people learn to regulate their nervous systems. The culture of the program is welcoming, warm, non-judgmental, and non-punitive. Clients can talk honestly about their struggles with use without fear of being kicked out or reported to probation. I have heard many clients say that this is the first time they have been honest in treatment and they are given the space to heal instead of being shamed or punished. ADDICTION BLOG: What do you hope/imagine in the next decade of addiction treatment and its evolution? MINNESOTA ALTERNATIVES: Health care is demanding the Triple Aim: Patient Satisfaction, Outcomes and Cost Effectiveness. The times they are a changing. We will also see a significant increase in medications that are targeting different parts of the brain that will help reduce cravings and continued use. This will likely include more use of agonist agents for substances of abuse other than just opioids. ADDICTION BLOG: What is your vision for your own practice? MINNESOTA ALTERNATIVES: My vision is to continue learning from the clients about how to best help them improve the quality of their lives. The last six years have been dynamic and the program has evolved based on feedback from our customers, new advances in neuroscience and medicine, changes in health care practices, and the changing clinical needs of those served. My plan is to stay responsive and continue to prioritize customer satisfaction and outcomes. I have no desire to open a bunch of other programs, and instead hope that existing and new programs will become more person-centered in their practices. MINNESOTA ALTERNATIVES: To be clear, I am not anti-AA/NA. This self-help movement has, and continues to, save countless lives. However, I think treatment providers have done 12 Step programs a disservice by adding rigid rules. This further removes clients from the opportunity to learn to self-manage in this “one size fits all” programming. Despite the broad appeal of AA/NA, many people do not embrace the principles and/or the step work, nor do they desire lifelong abstinence from all mood alternating substances. We need a robust recovery-oriented system that provides services across the continuum and to move away from the idea that addiction is best treated by acute, intensive treatment. Instead we need to offer a wide array of resources for prevention, early intervention and for long-term support. What is the Integrative Care Model of addiction treatment?